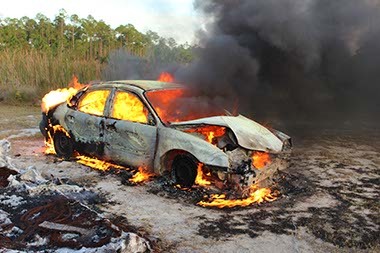 The Alabama Association of Arson Investigators, Inc. is an Enhanced chapter of the I.A.A.I. In April of 2017, after much deliberation, the board of the AAAI voted to become an Enhanced Chapter of the International Association of Arson Investigators (IAAI). This means the I.A.A.I. will be the one “go-to” place for A.A.A.I. Seminar registrations, testing, certificates and membership matters. This will remove a large amount of time consuming work from the board members. This did not come without some additional cost to A.A.A.I. so to defray part of the cost, it was necessary to increase the dues by five dollars. To apply for membership in the A.A.A.I. (only), go to the A.A.A.I. Membership page and click to apply or renew and you will be directed to the I.A.A.I. Website where you can complete the process and pay. Your anniversary date will be November 1, each year. If you are an I.A.A.I. Member and A.A.A.I. Member you will be able to renew both memberships at one time with a single payment. Your dues anniversary will be when you originally joined the I.A.A.I. For organizations with more than one employee who is a member of either or both, by calling the IAAI membership department, they can arrange to have all members consolidated onto one invoice with each member listed. This will be a benefit to organizations with multiple members, such as Fire Departments, Police Departments and large companies. Enjoy the benefits of membership in the association with other professionals who work on a daily basis to combat arson and kindred crimes. Your membership entitles you to discounts on A. A. A. I. seminars and events. Members participate in voting and if you are also a member of the Internation Association of Arson Investigators (I. A. A. I. ), you are eligible to run for a position as an officer or serve on the board of directors in the Association. To apply for membership or to renew, click here ->A. A. A. I. - I.A.A.I. AAAI membership is $20.00 per year. IAAI membership is $100.00 per year.